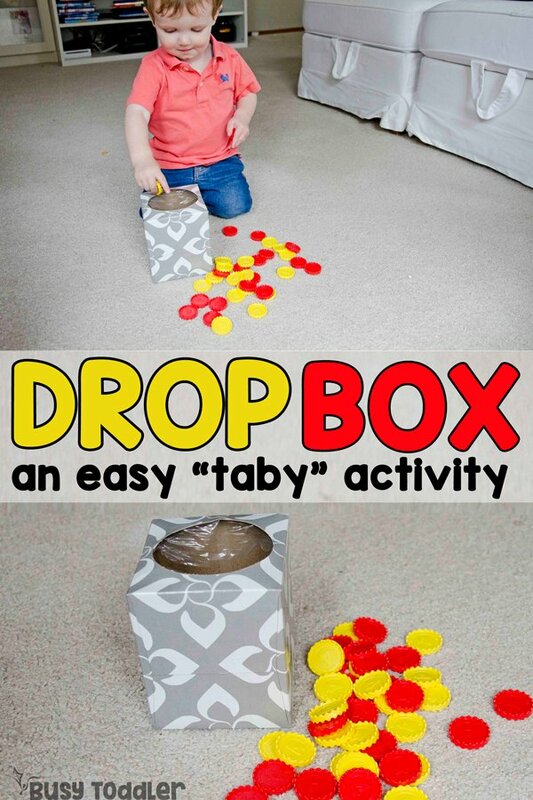 Need a quick taby activity? Here’s a drop box! 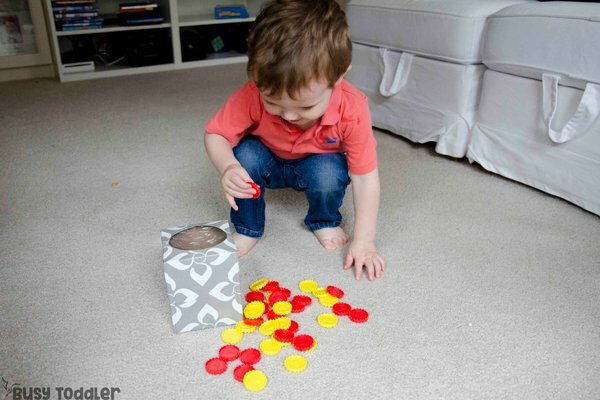 Tabies are so much fun – but tabies are also a hard age group to entertain. Do you have a taby? That’s my silly word for the middle ground when a child isn’t a baby anymore, but definitely isn’t a toddler. I have a 19-month-old taby and he can be quite the little handful. Sometimes, I need activities to occupy him so I can do something wild like prep dinner or unload the washing machine. 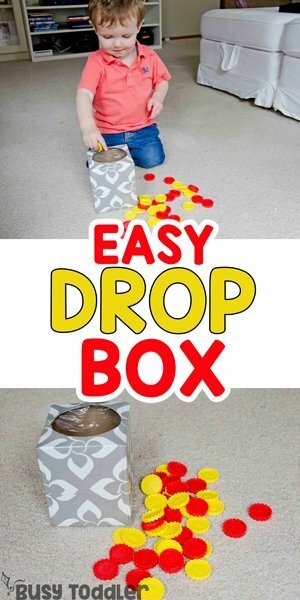 Easy activities, like this drop box, come in handy! 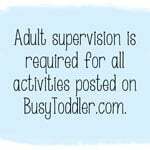 RELATED: Looking for all the activities for tabies aka one-year-olds? Check out this massive list! 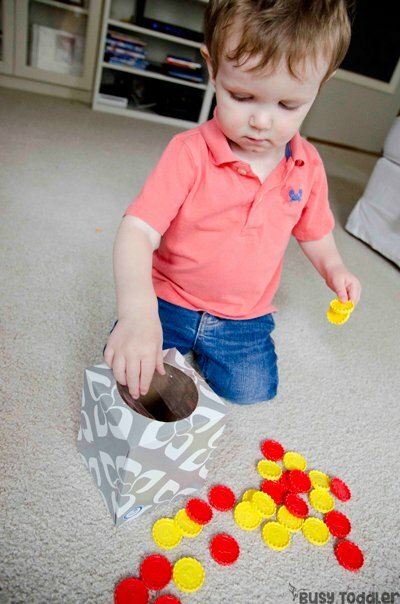 In my world with tabies, two things hold true: they love sensory activities and they love having a task. 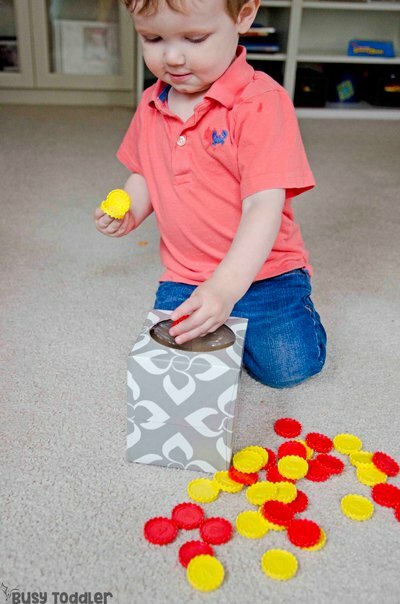 So when I’m looking for a new activity with my taby, it always comes down to either something sensory or something with a task – and that task is usually putting one item into another item. We’ve done that with crayons. We’ve done that with playing cards. We’ve even done it with toys. 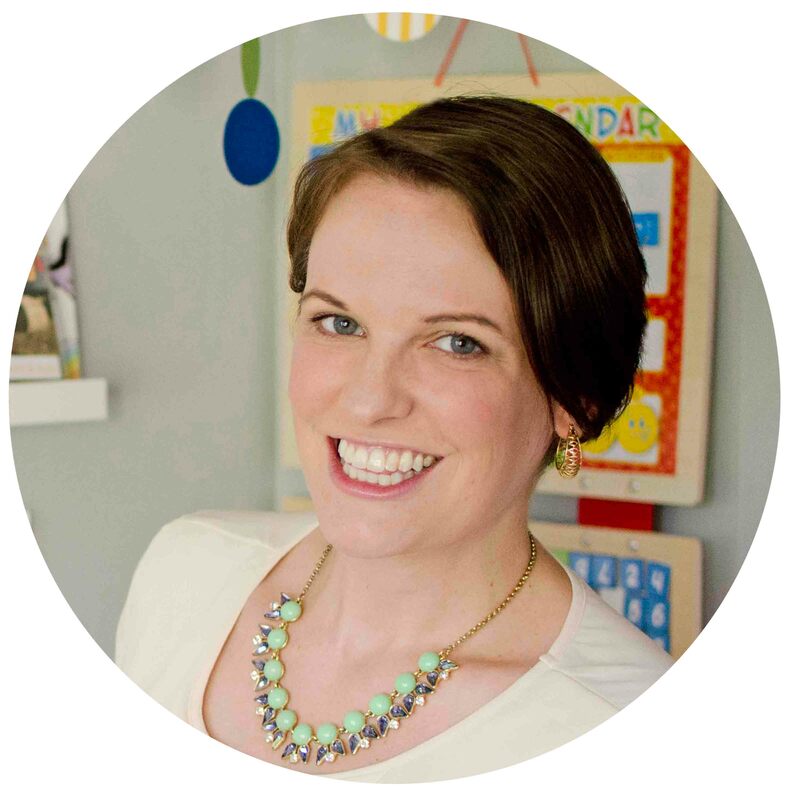 Grab your Connect 4 – we need it! 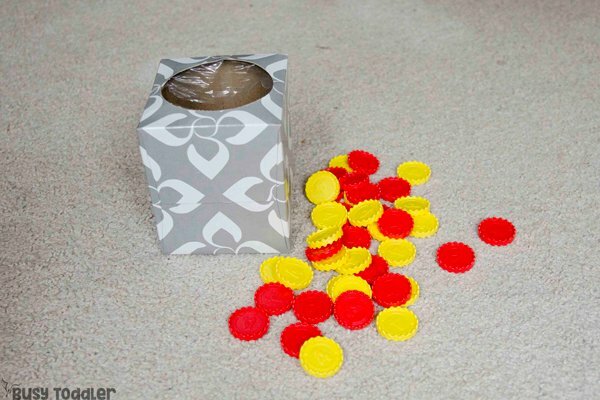 Yep, it’s exactly what it sounds like: drop the Connect 4 pieces into the tissue box. Drop, drop, drop…. 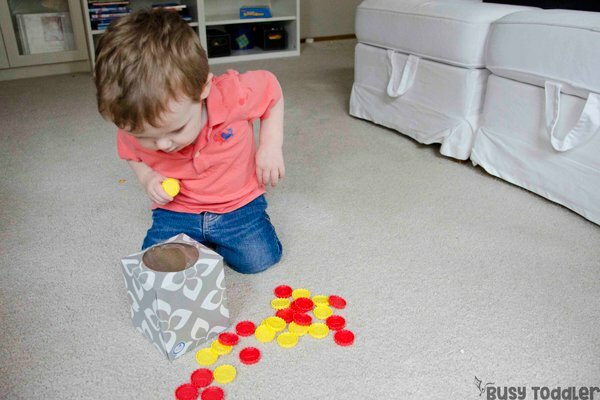 And once he’d finish, he’d tip that tissue box upside down and shake those pieces back out. That was probably his favorite part. Then he’d start it all over again. 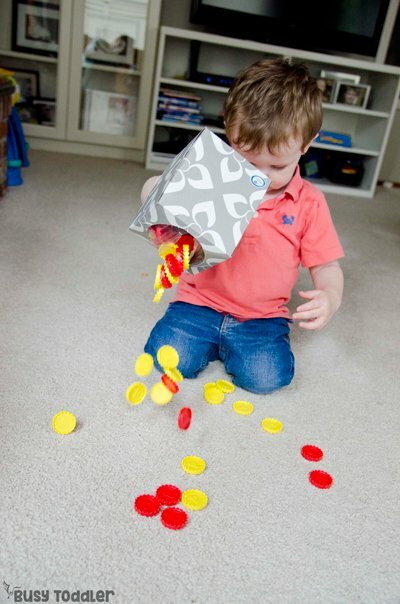 Drop, drop, drop….shake, shake, shake. I got an entire dishwasher unloaded without any sort of “help” from my taby. It was a small, but exciting miracle. But it’s a big activity for a taby. They’re working on so much here! 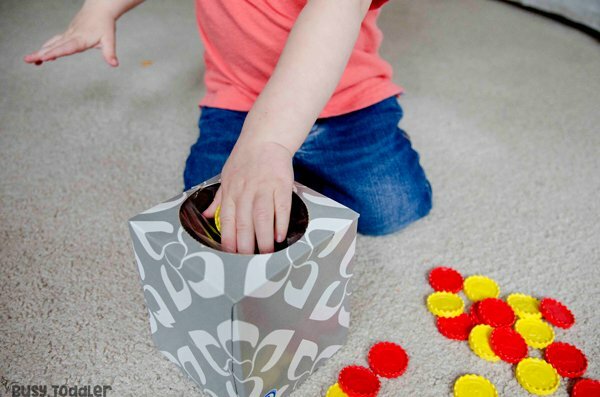 I kept the Connect 4 pieces and the tissue box downstairs for a while after making this. It was always right there when I needed to run off for a second (you know, sometimes it’s nice to pee without an audience…). 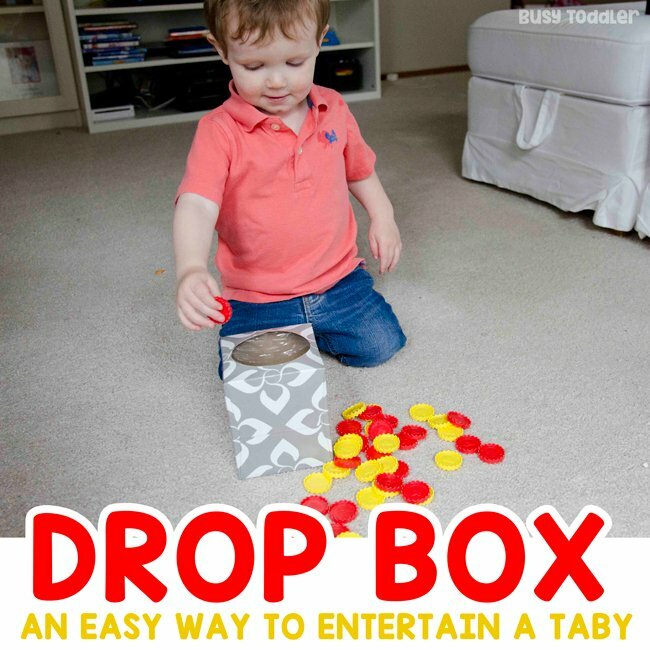 When will you make a drop box for your taby?